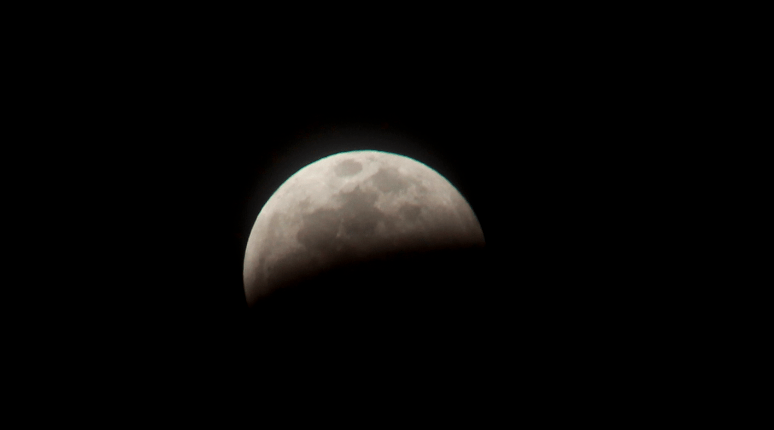 The lunar eclipse for January 2019 inspired me to try to capture it with a camera. So just for fun, I thought I might talk about my experience with shooting the moon pics so that other’s who might be inspired can learn from my mistakes. Before beginning this experiment, I did think it would be a simple task. 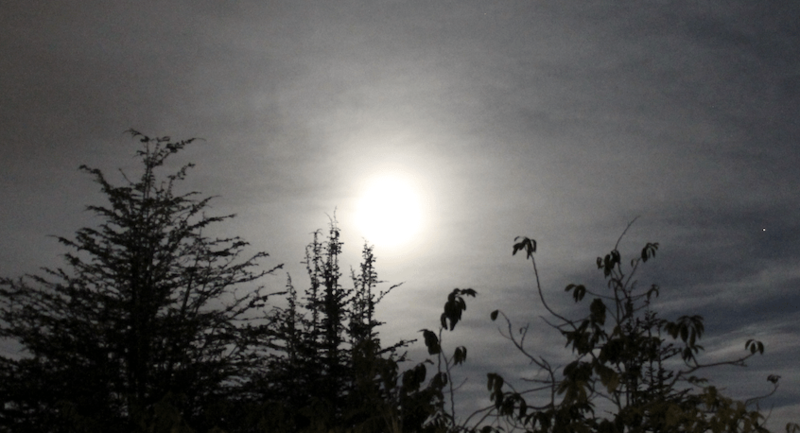 I thought it would be as easy as walking outside, pointing the camera at the moon and clicking the button to take a shot. It’s not that easy if you want the moon to have definition and not look similar to the sun. Essentially the moon is a light source as it is reflecting the sun’s rays, and pointing a camera into a light source usually results in a very bright ball in your photograph. Here was my first picture with the camera on full auto. As you can see the clouds are very prominent in the photo, and this is not the shot that I was hoping to get. This shot was taken with f5.6, ISO400 and an exposure time of 1/60th of a second. As you can see the clouds have vanished, of course, the moon itself is blurry, but the simple changes to the camera settings have made a huge difference in the final picture. My camera does not have an intermittent timer on it and I originally thought that was a problem, since it would mean I had to continuously go back outside and take the shot again and again. Actually taking some of the photographs required me to use a tripod, and select specific settings on the camera for each change in the moon. So having a timer would actually not help much or at all. In fact, I wanted to have as much detail as I could of the moon in each shot, so this required me to zoom in on the moon. 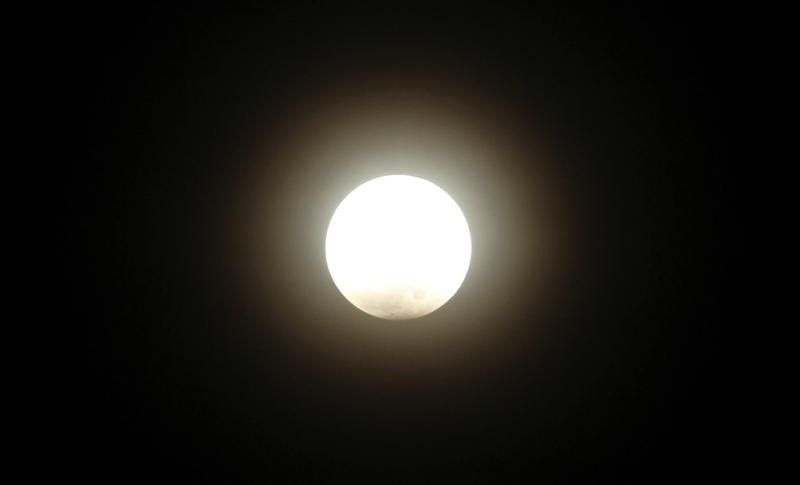 The moon is always moving, and it moves quite a bit during the three-hour eclipse. Each photo required me to reset the camera. My best really big zoom lens (200mm) is really underpowered when shooting the moon. All the shots that I kept needed to be cropped, the actual shot has very little moon in it, so my details are not well defined. For reference, I put in a shot without cropping below. 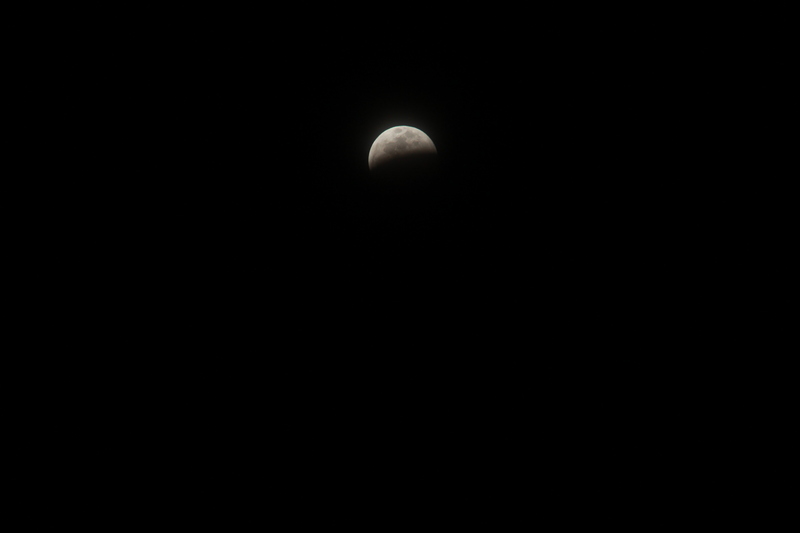 Finally a beautiful shot of the moon, not taken by me. As the Moon moves completely into the umbra, it turns a reddish-orange color.